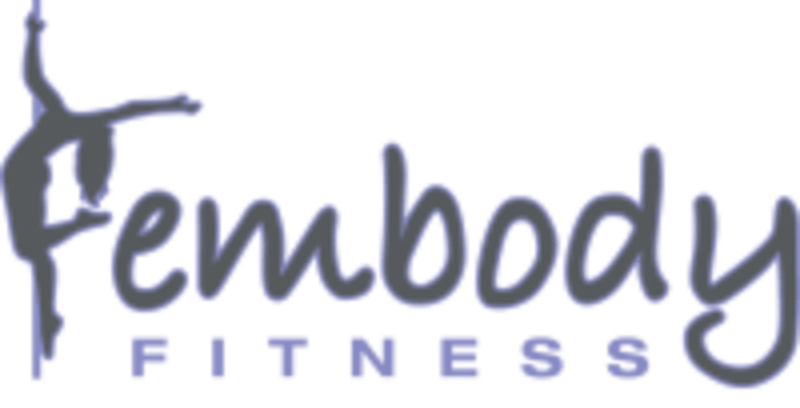 Start taking classes at Fembody Fitness and other studios! Fembody Fitness offers pole and aerial arts classes including Silks, Hoop, and Hammock at 3 studio locations including Huntington Beach, Long Beach/Signal Hill, and Santa Fe Springs/Cerritos. In addition to Aerial and Pole, they also offer Barre Fitness, Burlesque and Flexibility Classes! Please see class description for clothing suggestions and what to bring to class. Fembody Fitness - Sante Fe Springs is located at 14565 Valley View Ave #L., Santa Fe Springs, CA 90670. Great class with mix levels. Warm up, pole exercises and short chreo. Samantha was patient and encouraging, I will definitely be returning! Amazing, fun class w an attentive, amazing instructor! Jerjan was so sweet and informative! Robin, another instructor/assistant helper was also present in the class to help us through the moves. She was patient and helpful! I did my first upside down flip w no hands! Super proud of myself and super grateful the instructors were there to walk me through the moves and give me the confidence to do so! Alicia was such a great instructor and the combo was a fun challenge. Great workout on the arms, back, chest, and legs feels stretched out too. Not easy, but fun! Jerjan is attentive, knowledgeable, and so much fun! I don’t think I’ve ever had so much fun in a fitness class, and that’s coming from a individual who loves fitness! This class is a combination of stretching, strength, and mind. It is an environment where I felt confident and comfortable to make mistakes, yet keep pushing!